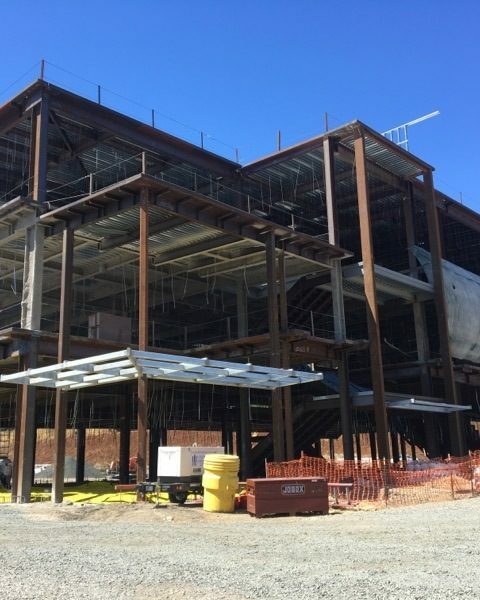 Construction Progress on the $230 million Pinole Valley High School | 15000 Inc. 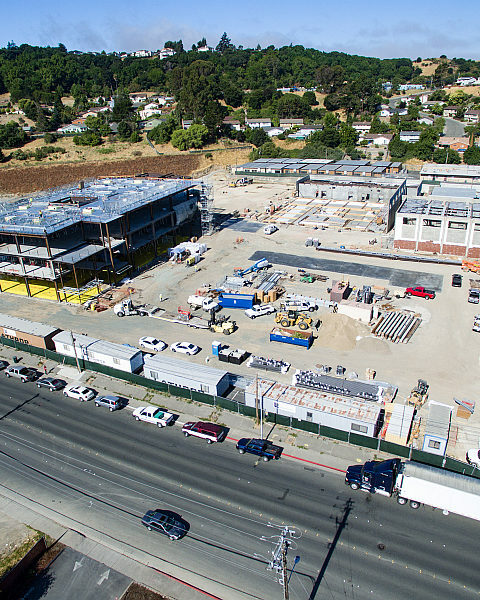 The construction of Pinole Valley High School is moving at a rapid pace. The 240,000 square foot campus, designed by WLC Architects, is on target for opening for the 2018 semester. The design goal was 100% student engagement; the design employs spaces that will motivate students, encourage collaboration, and energize learning. In the heart of the main academic building there is a large three-story open forum with built-in seats, display niches, WIFI, projector screen, and sound and lighting systems to enhance activities such as students’ clubs meetings, informal gatherings and studies, and science fair. The space also serves as shelter during inclement weather. Smaller open spaces with natural daylight are provided as an extension to the classrooms at each end of the building for small group work or project display. The design also features a 600-seat performance theater and a 2,000 seat gymnasium capable of after-hours joint-use that can be directly accessed by the community without impacting the school campus. The building design and material component selection meets CHPS criteria and exceeds the Energy Code by 25%. 15000 Inc. Consulting Engineers are specialist in K-12 school design. 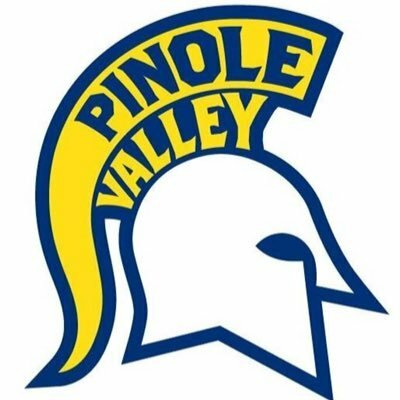 We are proud to be part of the West Contra Costa School Districts goal to make Pinole Valley High School a Distinguished California School.